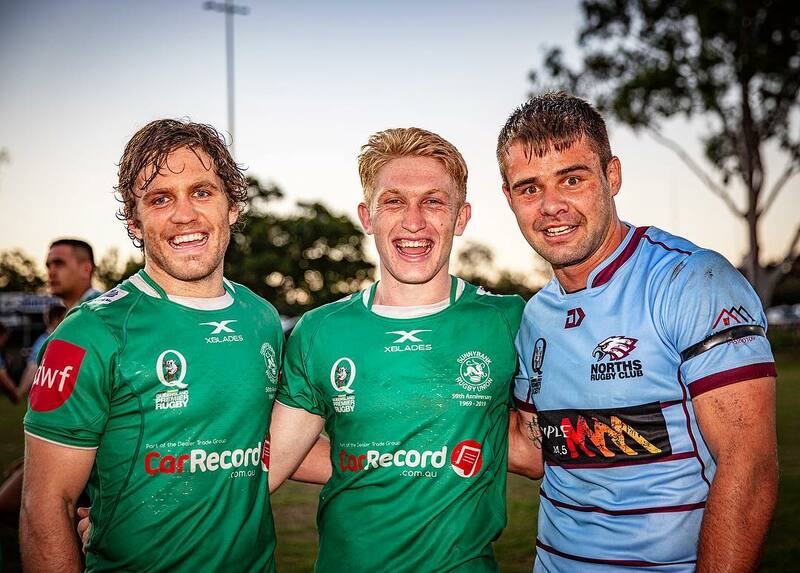 UQ struck late again to beat Souths, Brothers continued their good form, Jeeps won from behind and Sunnybank claimed their first win of the season. Hear what the coaches had to say after round three of the 2019 QLD Premier Rugby season. UQ scored three late tries while Souths were a man down to claim a fourteen point victory in a seesawing battle at Stade de Heavy. The Students jumped out to a 26-7 lead midway through the first half, before momentum swung in Souths favour. The Magpies scored tries on either side of the half time break to reduce the deficit to just five points, but lost a man in the 50th minute after lock Josh O’Rourke received a red card for foul play. Despite being a man down, Souths scored back to back tries to level the scores at 33-33 with 15 minutes remaining, but the Magpies ran out of puff in the final 10 minutes and missed several crucial tackles that led to three late University tries. “I was really proud of the way the boys fought back from 26-7 down but the red card really cost us,” Souths coach Elia Tuqiri said. UQ replacement forward James Wood broke the line with damaging runs to set up the final two match winning tries for the home side. GPS scored 26 unanswered second half points to beat Bond 26-15 and claim their first win of the Premier Rugby season. The visitors looked dangerous early and scored twice on the back of strong runs from Corbin Kiernan and Nick Turner as Jeeps reverted to the rugby they played late in their round two loss to Easts. “We managed the first half poorly and didn’t convert our opportunities in attack,” GPS coach Elwee Prinsloo told Rugby News. The defending premiers looked like a different side in the second half though after patching their leaky defence. Recruit Esera Esera broke the line twice to get his side back into the match at 15-14, as Jeeps started to penetrate the Bond defensive line. The home side dominated possession and territory from that point on and took the lead with 15 minutes remaining following a try to Pat Nicholson. The Jeeps forwards then put the result beyond doubt when replacement prop Naverika Pologa barged over from close range. “I thought our blokes did well to defend our way out of it as Bond didn’t score again after the 20 minutes mark,” Prinsloo continued. While Prinsloo said he was happy with the win, he said his side is a long way from where they need to be. Brothers continued their unbeaten start to 2019 with a seven tries to four victory over Wests at Crosby Park. For the second time this year, the Brethren scored inside the opening minute with new recruit Seb Wileman breaking the line with his first touch in Brothers colours to set up Byron Ralston for the opener. Wests hit back and eventually took a 14-12 lead midway through the first half, but Brothers continued to make easy metres through the Bulldogs right edge defence and scored the next two tries to lead 29-14 at the break. A penalty try early in the second half saw Brothers push further ahead and while Wests scored twice to add some respectability to the scoreboard, they were no match for the home side who ran in two more tries to notch a half century and a third straight victory. “Brothers were good, they were definitely a step up from anyone we have played this year,” Wests coach Pat Langtry told Rugby News. “I though we were good in patches, however Brothers really hurt us when we made mistakes. While Langtry said he was impressed with Liam Dillon and Effie Ma’afu, he said the Bulldogs will need to improve to challenge UQ at home next weekend. Brothers host Norths at home in round four and can set up their season nicely if they can continue their unbeaten run. Issac Lucas starred in his return to Premier Rugby to help Sunnybank claim their first win of the 2019 season over Norths at Shaw Rd. The 20-year old found space almost every time he touched the ball in the first half and beat his defender twice to set up tries to give Sunnybank a 19-7 half time lead. Scrumhalf Neal McNamara then scooted over from close range to extend the visitors lead early in the second half. Norths scored a brilliant long range try midway through the second half to give their fans hope of a comeback, but it was short lived as McNamara found space at the base of the ruck again in the 62nd minute and scored to put the result beyond doubt. “At times the boys played some pretty decent footy. We got over the ad-line well and found some good space in turn,” Dragons coach Damon Virtue told Rugby News. While Virtue was full of praise for young stars Lucas and McNamara, the coach said Sunnybank still have a lot of improvement in them.